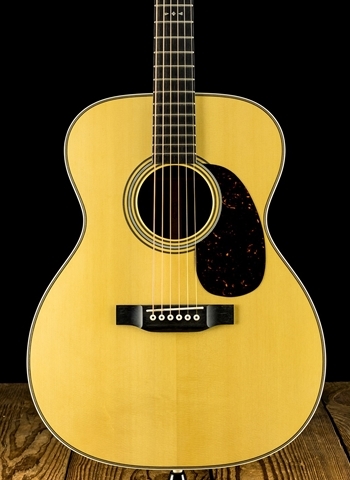 If you ask just about any guitar player what the premier acoustic guitar is it is very likely they will answer by saying a Martin acoustic guitar. C.F. Martin & Co have been building the highest quality of acoustic guitars since their establishment in 1833 by Christian Frederick Martin. The Martin Custom Shop is where the pinnacle of Martin's centuries of experience is culminated and produces at the highest level in premier acoustic guitars. At N Stuff Music we are proudly one of the biggest dealers of Martin guitars in the region. 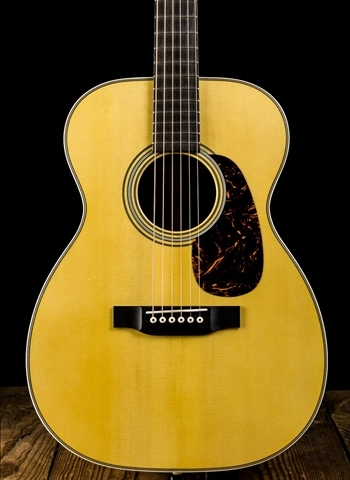 Martin has continually been the bar upon which acoustic guitar excellence is set. Custom Shop guitars are a chance for companies such as Martin to put their heads together and using their best materials in tone woods, inlays, tuners, and others in combination with their best craftsmanship to create a line of instruments that are representative of the best available on the market today. Custom Shop instruments come in the form of either a completely innovative guitar or a guitar that takes a classic style and puts a unique twist on it making it a top-level instrument. Using classic style acoustic guitar bodies Martin is able to combine a classic style guitar with their modern innovation and precision to make these guitars incomparably precise with an attention to detail like none other. This is what has continually given Martin its stellar reputation. Whether it's the classic 000 body style, dreadnoughts, 00, or others, Martin gives each guitar the same high level of precision that makes the Martin Custom Shop a uniquely brilliant custom shop. Are you curious as to how Martin builds their guitars? You're in luck! Located in Nazareth, Pennsylvania, Martin offers free tours of their entire facility at the factory location during business hours. These tours are incredibly thorough and allow customers, fans, and all those interested a chance to get an up-close and personal look at the process by which Martin guitars are made. Martin even has a craftsman who steam bends by hand the sides for many of the custom shop instruments. One of the most impressive aspects of the Martin Company is their combination of hand-made manufacturing and innovative manufacturing. Many of the processes Martin's craftspeople still do by hand to ensure that classic and premier hand-made quality. However, Martin also effectively utilizes various innovative manufacturing technologies that can perform some of the most difficult processes that cannot be done wrong with exact precision and ensure consistent production of each guitar. 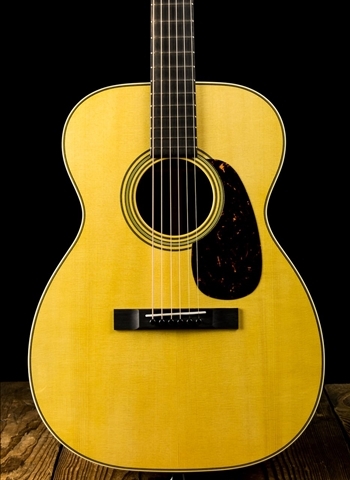 Check out N Stuff Music to find a quality selection of the most premier instruments produced by the Martin Custom Shop. Here at N Stuff Music we try to carry Martin Custom Shop instruments that are unique to what you may see at many other retailers. This has brought Martin customers back to N Stuff Music time and time again because they know we are a consistent place to play and find the best that Martin produces.